invoices and procurement are all manual processes prone to errors, adding that sufficient software support decreases the chances of human error. Inaccurate decisions and unreliable sources are the next key challenges. How can decision makers know they are making sound recommendations for their business if there are inaccuracies in reporting? These can impact inventory records and ROI calculations, along with the high-risk of offline databases being out of date which typically result in financial reporting not conforming with the inventory data held. In addition, if your network or internet goes down, not having the correct information in place can be catastrophic. Having an ASTI in place to troubleshoot insures the problem can be addressed quickly and efficiently. that risk. Delphi Automotive is a high-technology company that integrates safer, greener and more connected solutions for the automotive and transportation sectors. 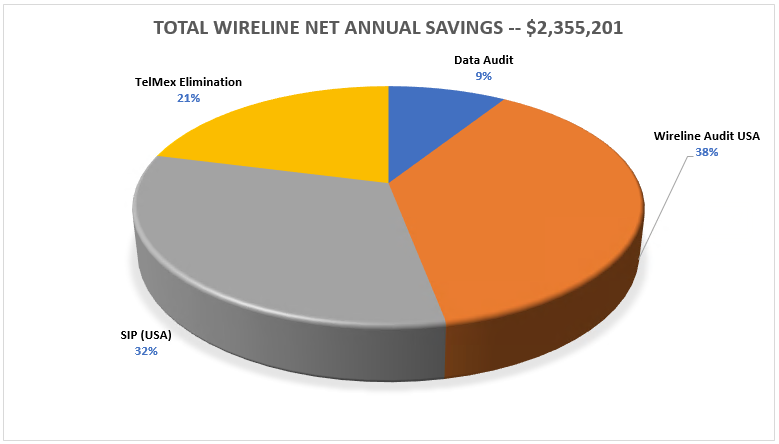 CBI conducted a full audit for all Delphi USA Telecom Wireline accounts, reconciling vendor invoices to vendor contracts. The results of fixed audit were a onetime credit of $232,000 and a 24.6% cost reduction in current/benchmark annual spend.